Unbeknownst to all, gnomes actually walk among us. Author Steven Higgs prepares to take a photograph. All pictures in the guide were taken personally by Higgs. 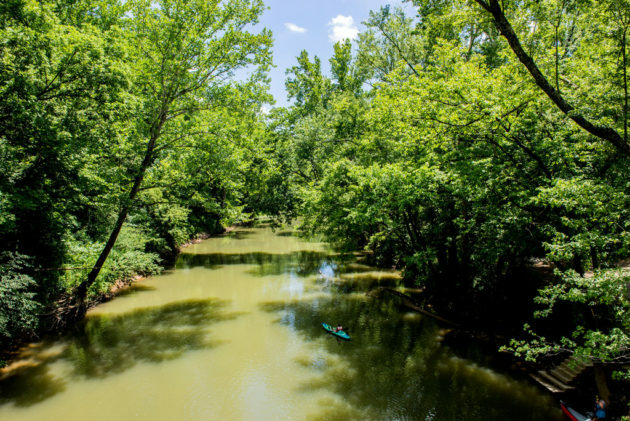 As James A. Thom notes in the forward of the new IU Press book, A Guide to Natural Areas of Southern Indiana: 119 Unique Places to Explore, gnomes are beings tasked with the sacred duty of safeguarding the treasures of the Earth and attempting to combat human greed. They live far from urban areas, instead residing in the very nature they uphold and protect. Bloomington, and the entire state of Indiana, has been fortunate to have a gnome that has carefully watched over it for years, and the name of that gnome is Steven Higgs. Higgs is a former environmental journalist who previously wrote for The Herald-Times, the Indiana Department of Environmental Management, and the Bloomington Alternative. He graduated from Indiana University with a double major in psychology and political science. Steve received his Master’s in Journalism from Indiana University in 1985, and has lived in Bloomington since. He currently serves as an adjunct professor for the IU Media School. Along with covering environmental issues, Higgs admits to being an environmentalist himself. 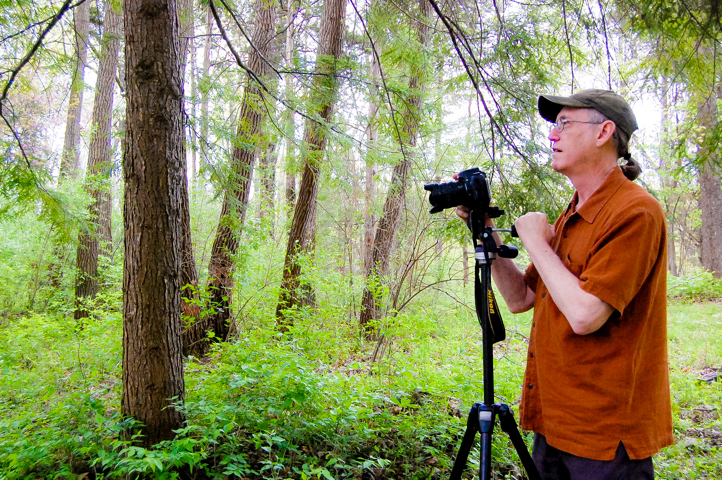 His strong passion for the environment began as an undergraduate in 1970 walking through Dunn Meadow on Earth Day. He now has several decades and many miles under his belt. More recently, though, Higgs started environmental projects much different than the journalistic approach he had been doing prior. And thus from that interaction, Natural Bloomington EcoTours was born, allowing Higgs to share with others the beautiful scenery that Bloomington has to offer. It was also from his nature tours that Higgs got his most recent opportunity, writing A Guide to Natural Areas of Southern Indiana: 119 Unique Places to Explore. Despite a daunting task that would bring Higgs through 4,500 miles throughout Indiana and taking more than 3,500 photographs, he believed the guide would be worth writing. 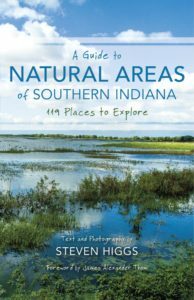 A Guide to Natural Areas of Southern Indiana: 119 Unique Places to Explore is available to purchase online through Steven Higgs’ website. 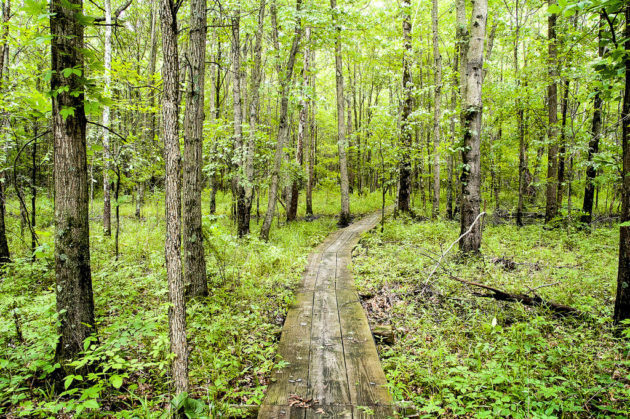 The book includes hundreds of breath-taking photographs of Indiana’s natural beauty, how to get to different land preserves, and is produced to withstand the elements so you can take it wherever you’re exploring. The price of the book is $35 including shipping, and Steven Higgs is donating 20% of the proceeds to Sycamore Land Trust.